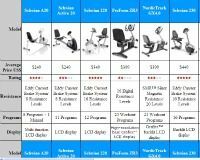 If you are in need of exercise bike parts, it is a simple process to find what you need and place an order online. 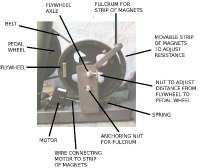 Use your manual or download a parts assembly diagram from the manufacturer’s website to get started. Since parts do wear out you may need to repair your bike yourself sooner or later. 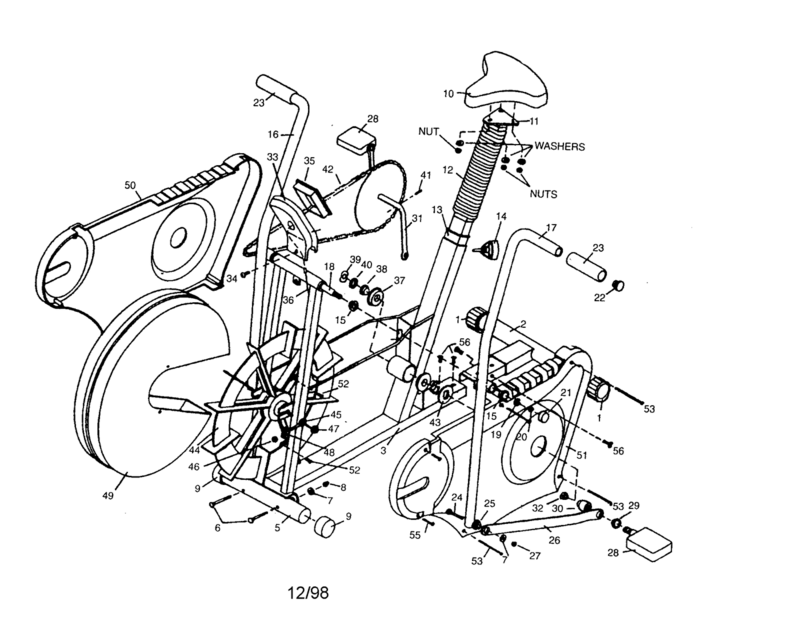 Most exercise bike parts are affordable and easy to replace should something break or need upgrading. As long as you don’t need to buy an entirely new console, the most expensive part you may ever need to buy is a $40 crank arm set or a $30 drive belt. More typical repairs include replacing brake pads which run $10 to $20 depending on your bike brand. Some parts you may be shopping for are optional after-market equipment. An AC adapter — if you are tired of replacing batteries to light the console — will cost less than $25. If you are in the market for a new exercise bike saddle, they can range from $20 to $60 on average. If you don’t like the pedals that came with your spin-type cycling bike you can get high performance pedal sets with industrial grade bearings. While some can cost as much as $100, many good designs sell for about $30. They will accommodate toe clips and straps, as well all SPD-type shoes and cleats. In addition, better quality pedals can fit on most types of spin bikes. You can also add calorie and mileage counters, heart rate monitors, seat gel covers, bookracks, new handlebars, equipment mats, chain lubricant, repair tools, and much more. It is recommended that you try to buy OEM parts, that is, original equipment manufacturer parts to ensure a precision fit. You can go directly to the manufacturer’s website or go to a site that specializes in exercise bike parts, like Sears Parts Direct. Both sites will provide diagrams with each part separated and identified. They provide separate diagrams of the frame, drive and flywheel assemblies.